"The Fotobus is a realization of Jen Jones' long standing passions for photography and vintage VW's. 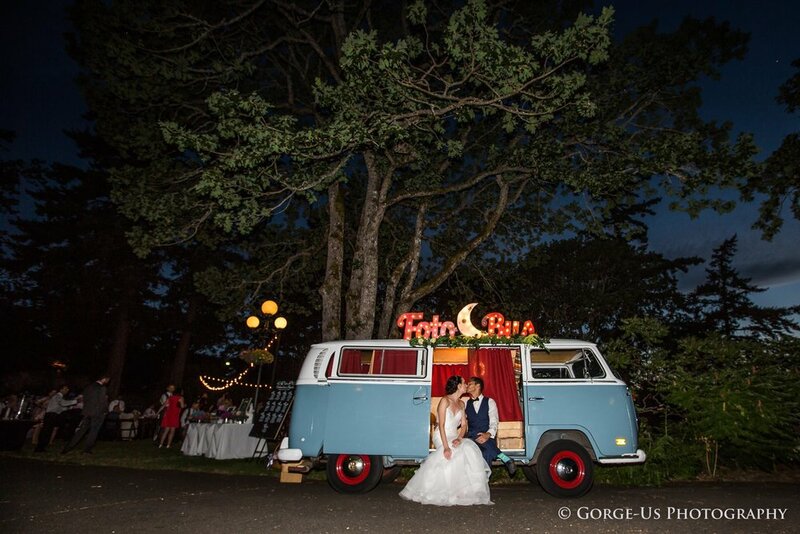 Founded in May of 2016, The Fotobus was created to provide a unique photography service that can accompany a variety of events. It provides you the ability to treasure and share special moments, captured in the most unique photo booth you've ever experienced!" The Foto Bus wedding packages include 3 hours of foto booth fun with unlimited prints, a variety of props, 1 complimentary hour of "idle time" and high resolution digital files of all photos taken in the bus. Contact Jen Jones for a quote!